It’s time that someone accepted it, but no one will: a video game movie doesn’t have to be bad. A video game movie doesn’t have to be like a video game. A video game movie can be lighthearted fun. A video game movie can really just be a “movie”, without the need to append “video game”. One does not watch No Country For Old Men and call it a “book movie”. Prince of Persia is a movie. It is not game-like in its presentation. It’s not entirely clear why it needed to be made but, unlike quite a few of the action adventure films I’ve seen in recent months, I do not regret its production. In fact, seeing it brightened my day a little. The best way to put it is this: Prince of Persia is what Clash of the Titans might have been had Clash of the Titans been a competently made movie. When he was a simple street urchin, Dastan was spied by the King of Persia for performing a deed of extreme bravery that is somewhat beyond my ken to understand. Consequently, he is adopted into the royal family. Fifteen years later, he grows up to be Jake Gyllenhaal. Against his will, Dastan accompanies the armies of Persia into the sacred city of Alamut on a search for weapons of mass destruction. Things get out of hand, and Dastan is saddled with a magical dagger that can transport him a minute back in time, the Princess Tiama (Gemma Arterton, much better here than in Clash of the Titans) and an intense desire to clear his name and forge his own destiny. A hero’s quest and all that. 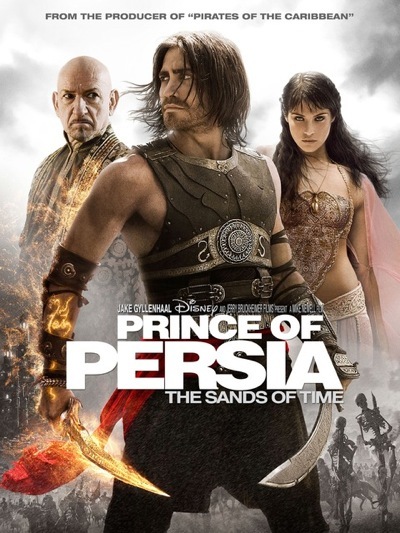 Prince of Persia never lurches: its exposition may be somewhat clumsy at times, bt the movie maintains a strong momentum at all times and strangely never really relies on special effects. The sand dagger is used maybe three or four times in the movie’s length, and one of those instances is solely expository. It’s almost as if they wanted a McGuffin rather than a cool gimmicky item to do special effects stuff with. It is an important item but most of the time the characters get by with swords and wits and larkishness. At the end of it all you realise that Dastan doesn’t grow as a character; the whole point of him was that he was already a grand person with a heart of gold, and that’s why he was adopted into the royal family in the first place. There is a possibility that he was supposed to learn responsibility commensurate with his power at some stage, but there’s no room. What we have instead is the development of the relationship between Dastan and Tiama, which is a pleasant if pale shadow of the bickering destined lovers of yore – and yore can really be defined as recently as 2007’s Stardust, although I was thinking It Happened One Night as I was watching the film. One thing Prince of Persia is distinctly lacking is a wall of Jericho. Arterton and Gyllenhaal, with his effortless charm, would be the highlights of movie were it not for Alfred Molina’s entrepreneurial Sheik Amar. Molina, is an uplifting presence in just about any film. I always call him “Doctor Octopus”, but he makes every movie his own. He has the honour of having featured, albeit briefly, in Raiders of the Lost Ark, he made the Spider-Man movies tolerable, and he was hilarious in Boogie Nights. Here he is similarly funny: a stock character, a sort of Artful Dodger of the ostrich racing circuit, fighting for the rights of the “small businessman”. He brightens the screen whenever he’s on, and the only problem is that he’s not on it enough. Sir Ben Kingsley is also worth noting in basically the same role as he had in Shutter Island, with less mind-bending and slightly different clothes. I would like to have seen him play a slightly less obvious character than the royal uncle, but he did his Kingsley best in the role. Part of the reason that I liked Prince of Persia is because it doesn’t feel quite so manufactured as so many blockbusters of today. There is little point in examining the “white washing” of the film because it’s still a matter of course. Perhaps that makes me part of the problem, but at least no hideous stereotypes are invoked, and seeing as the two leads and their comic foil are all faking various shades of British it doesn’t strictly matter. You can’t expect a movie like Prince of Persia to offer ethnic consistency and consequently it doesn’t. Prince of Persia is not particularly big or dumb. It keeps its characters manageable and it maintains a sense of heart that seems to go at least a little bit beyond the speechifying of movies made for a mass audience. It’s not the highest praise to say that Prince of Persia is more than competent, but if you look at what we’ve been getting lately: Clash of the Titans, Transformers 2: Revenge of the Fallen, Boring Tell Us Something We Don’t Know Faux Bourne (Green Zone), then it is among the best we can do. A movie that one can enjoy without stabbing oneself in the brain’s taste centre? That’s more than good enough for today. The sad fact is that Prince of Persia doesn’t have much competition. 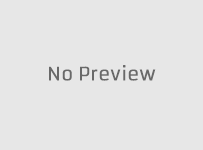 Look at the trailers that accompanied it: the execrable looking Grown Ups (it’s funny because most of the cast are washed up has beens or never weres!) and another Bruckheimer production: The Sorceror’s Apprentice. Which is going to be awesome. Basically for mainstream cinema we are now relying on Marvel (mixed reviews for Iron Man 2, no actual director for The Avengers – please don’t be Joss Whedon, for the love of Christ), DC (a heavy Batman movie once every how often) and … Jerry Bruckheimer. Under Bruckheimer, even Michael Bay can make a baseline entertaining film (The Rock, basically). Yes. Jerry Bruckheimer is our greatest hope for fun, unchallenging but not stupid, mainstream action films. I say this as someone who liked the ridiculously convoluted and bloated nature of the Pirates of the Caribbean movies. I realise this is a depressing proposition, but it’s all we’ve got in a morass of sequels and bum rushed reboots. Everything else is niche, and James Cameron is an “event”, more a force of nature than something that is periodically delivered to the box office. Prince of Persia is hopefully the vanguard of a new age of marginally creative, slightly exciting, almost emotional action adventure movies that won’t engender misanthropy in their audience. It might sound like I’m damning Prince of Persia with faint praise, but I genuinely enjoyed it. I laughed a few times, I got emotionally invested despite intellectually knowing the stakes were by design much lower than they appeared, it wasn’t in 3D and I didn’t hate it. But take my advice with a grain of sand: the five-year-old boy sitting behind me was crying with boredom throughout. Who are you going to believe? The power is yours.